With its strategy of expanding to cover GCC market, Stride It consulting participated at Gulf Information Security Expo and Conference (GISEC) between 3rd and 5th June at Dubai World Trade Centre as one of the exhibitors. 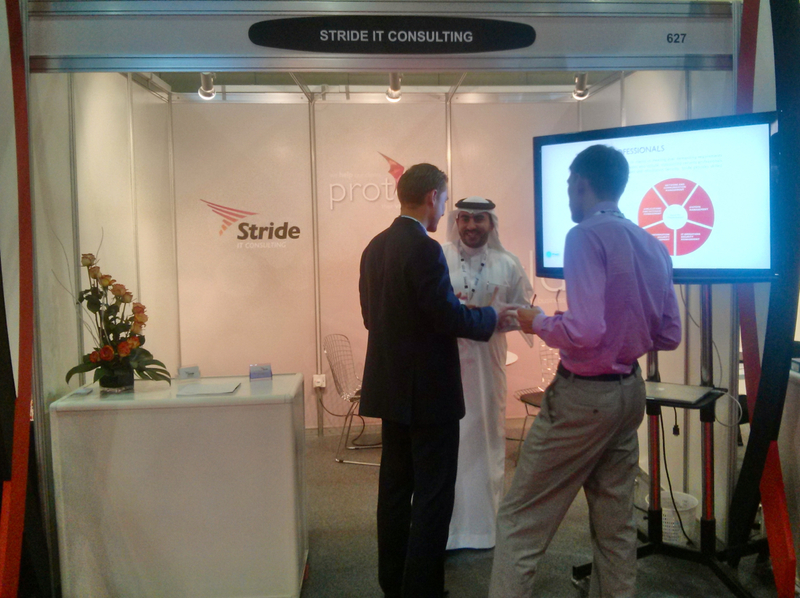 “It was a great success for us to participate in such exhibitions to reveal on our professionalism on dealing with Information Security challenges, approaching more potential clients, and build business-business relationships” Bader Kamal, Stride’s MD. GISEC connects visionaries, thought-leaders, practitioners and innovators who are transforming the information security landscape. It also compiled a fantastic lineup of speakers and experts who are sure to drive the conversation in new and unexpected directions. Stride is a full-service information security consulting firm, offering a comprehensive range of IS services to organizations in MENA region. Stride believes in making the digital world a safer place for business by supporting the confidentiality, integrity and availability of information, the business strives on. Stride’s vision is to lead the information security consultancy in MENA region, by understanding the importance of information security on businesses; therefore Stride works side-by-side with its clients to build long-term relationship. The greatest assets of Stride is its people, right from the company’s senior management to its frontline consultants, Strides’ expertise possess the necessary skills, knowledge, qualifications and experience required to provides utmost support to its clients, at all verticals and horizontals. In brief Stride’s team consist of CISA, CISSP, CEH among others.